Let’s face it Americans spend a lot of time of their butts. The population spending the most time on their bums are adolescents and people over the age of 60. 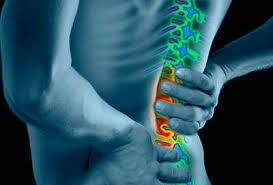 Lower back pain seems to be more common than ever, especially in our aging baby boomer population. Muscle atrophy associated with prolonged sitting is one of the main causes of lower back pain and the muscle lost is usually replaced with fat tissue. The muscles that surround the spine provide stability and are stimulated in most activities to protect the spine from injury. So, it is no surprise that weak muscles increase the risk of pain and injury. Start in a prone position and simultaneously raise the arms, legs, and chest off the floor. Squeeze your lower back and glutes and hold for 1-2 seconds at the top before returning to starting position. Perform 2-3 sets of 10. Start in a supine position with knees bent at about 45 degrees. Feet should be flat and hip width apart with toes pointing forward. To perform the movement, push through the heels to bring the hips up to full extension. It is important to not flare the ribs, so a good cue is to think about bringing the ribs to the pelvis as you extend up and squeeze the glutes. Perform 2-3 sets of 10. Start by bending forward at the waist while keeping the back flat. Slowly lower until the back begins to round, then raise the torso back to starting position as you inhale. 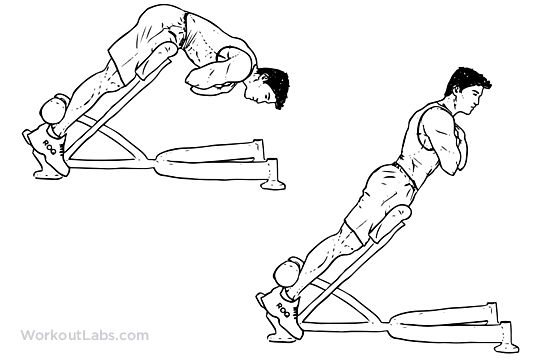 This movement should be performed slow and controlled while keeping the lower back and glutes active. Once the movement is mastered, weight can be added to add difficulty and increase strength. Perform 2 sets of 10-15. 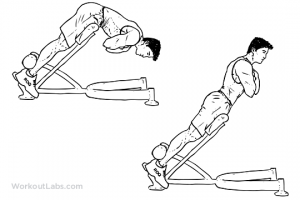 Give these a try and see if they help alleviate some of that lower back pain, it may be something that can be fixed by simply increasing strength. Also, remember if you find yourself sitting for long periods at work or school, take the time to get up and move around. Happy Training! ?